The silent, yet eerily palpable rivalry betwixt LG and Apple continues, secretly, growing subtlety with every new phone release (as you can see in the Windows Mobile-based KS20). 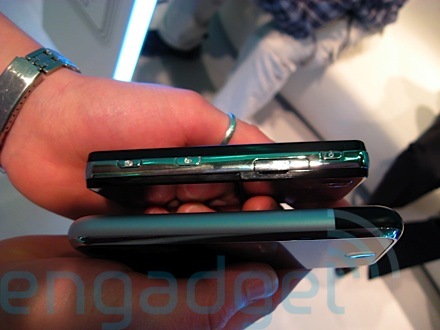 Or maybe these two companies just love this design -- certainly Nokia is fond of it. 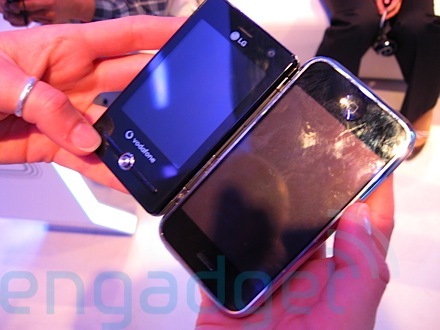 It's hard to say really, but what isn't hard to say is that these phones do look alike, and there's no way around it. Please forgive the German showgirl for the upside down iPhone handling -- they haven't had the fortune of holding them here. 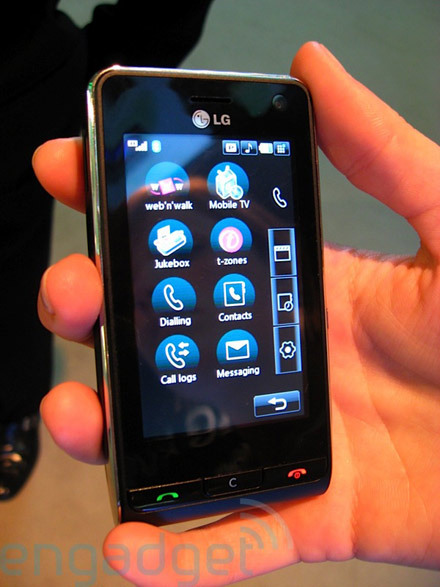 After the break, be sure and note the UI of LG's KU990 -- the company's other widescreen touch phone -- and its familiar look. One thing's for sure: they all smudge the same.